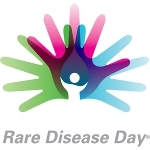 Rare Disease Day is an annual observance that has been held on the last day of February since 2008. It is aimed at raising awareness for rare diseases, sometimes also referred to as orphan diseases. Rare diseases are diseases that affect a very small percentage of the population. Most of them are genetic, hence chronic. They cannot be completely cured, but special pharmaceutical agents known as orphan drugs can significantly improve the quality of life of people who suffer from rare diseases and increase their life expectancy. The first Rare Disease Day was organized by the European Organization for Rare Diseases and Canadian Organization for Rare Disorders. It was held on February 29, 2008, in many European countries and Canada. This date was chosen as February 29 is a “rare day” that occurs only in leap years. In 2009, the observance went global. In regular years, it is held on February 28. Rare Disease Day focuses on supporting individuals with rare diseases and members of their families and improving access to treatment. Every year, a new theme for the day is selected by the global planning committee, and local rare disease patient advocacy organizations hold appropriate events.